Feel swept away to a sparkling coast when you display this two-piece set of nautical-themed giclee prints made with lasting, archival-quality inks. 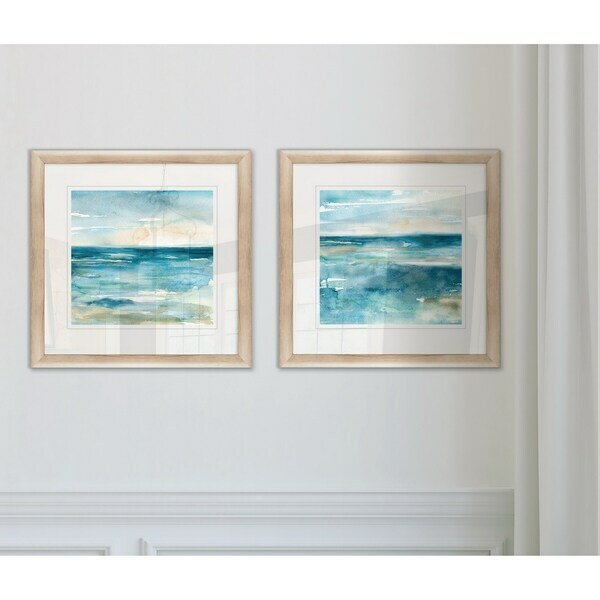 Each vibrant ocean scene comes ready to hang in a beechwood frame with acrylic glass for durable coverage and white matting for a decorative touch. Dimensions 20.0 In. X 16.0 In. X 1.0 In.